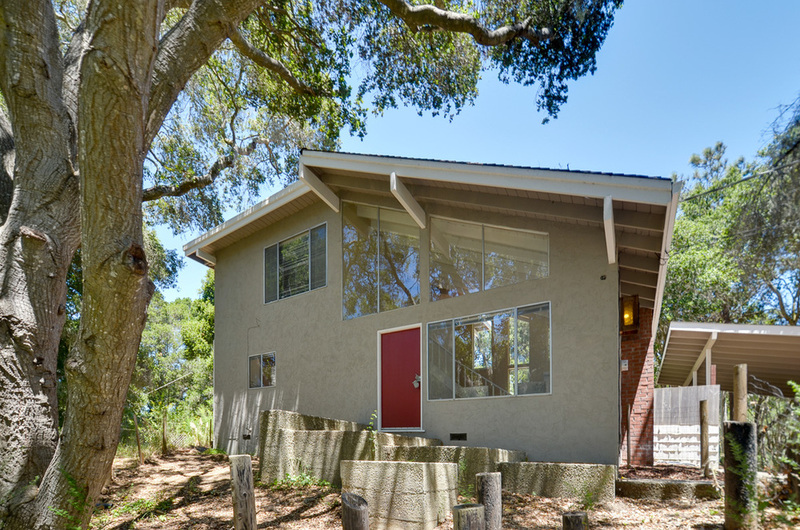 Come and see this distinctive and private home in the hills of Aptos! The spacious living room features open beam ceilings and large windows from top to bottom, flooding the home with sunlight. 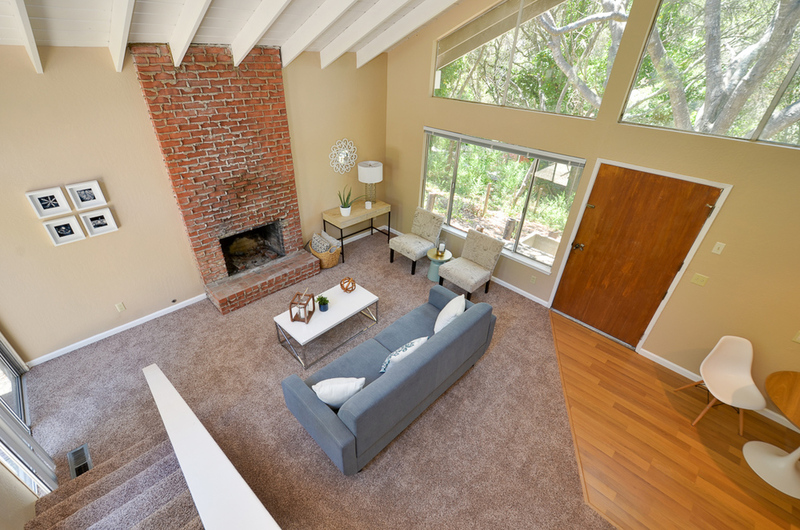 In combination with the brick fireplace, you’ll find the perfect balance of cozy and roomy. The kitchen features tile counter tops, a joint eating area, and a door to access the backyard. The downstairs master bedroom opens through a sliding glass door to the private and fenced courtyard. The creative design in the master bath conveniently separates the vanity from the shower, while a stained glass window and accents in the shower underline the personality of the home. Upstairs the two other bedrooms provide views through the large windows to the leafy scenery and the fenced yard. The property is surrounded by stunning oak and redwood trees offering true seclusion just minutes away from Highway 1. With the perfect fusion of setting and accessibility, this home is sure to steal your attention.